DISCLAIMER: Gamelust was given a copy of Shape of the World from Plug In Digital to review. This does not affect our opinion of the game whatsoever. I’ll be honest; at first, Shape of the World didn’t appeal to me. The bright colors and alluring environments went over my head during my initial impressions. After playing the game through I changed my mind; here’s a short but sweet review of my venture into the wild world of Shape of the World. The first thing you should know about the game is there’s no story. Instead, you are dropped into this vibrant world full of flora and fauna. Terraforming will take place as you roam around the map while you have the ability to plant trees using a variety of seeds scattered across the world. Animals react to your actions by either following you or scurrying away the moment you get close to them as if you ordain them. In fact, after my playthrough, I came to the personal conclusion that you are a god-like entity as you lope around your creation. No matter where you take a screenshot in the game, it always manages to look photogenic. 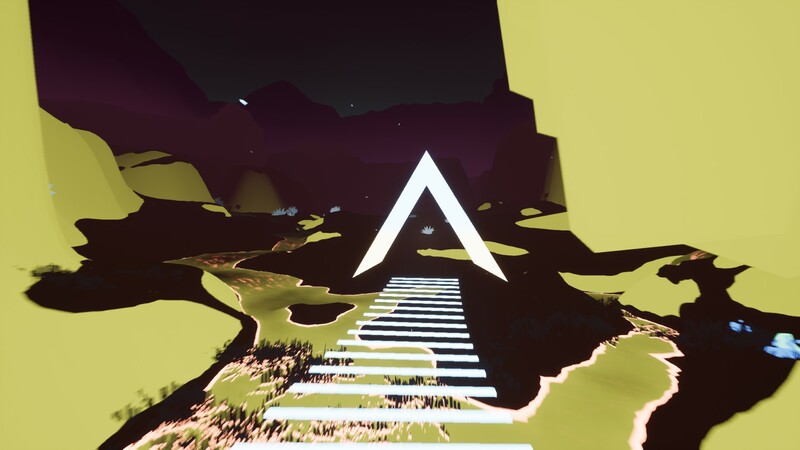 Perhaps the most interesting structure in the game is the flipped V’s you venture into to mark your progress which reminds me of an album cover I can’t quite put my finger on. Regardless, these compositions helped me navigate the colorful terrain which changed when you acquired a new seed and depending on the type your game could go from scintillating to somber. 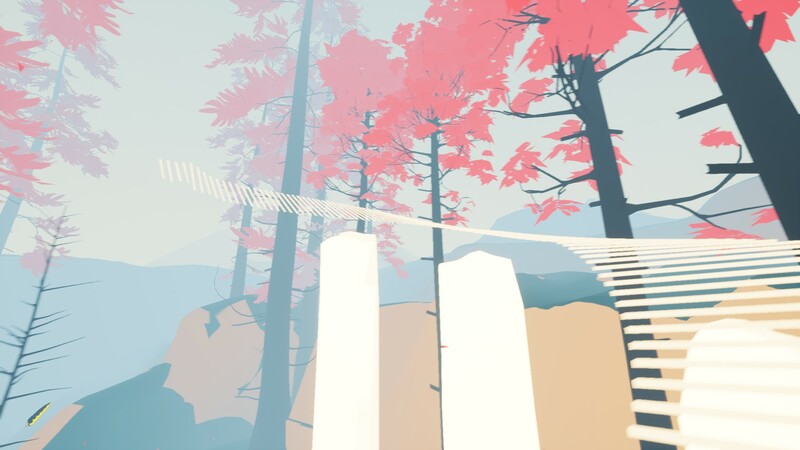 This erratic mechanic is an important feature in the game as the whole purpose is to explore. 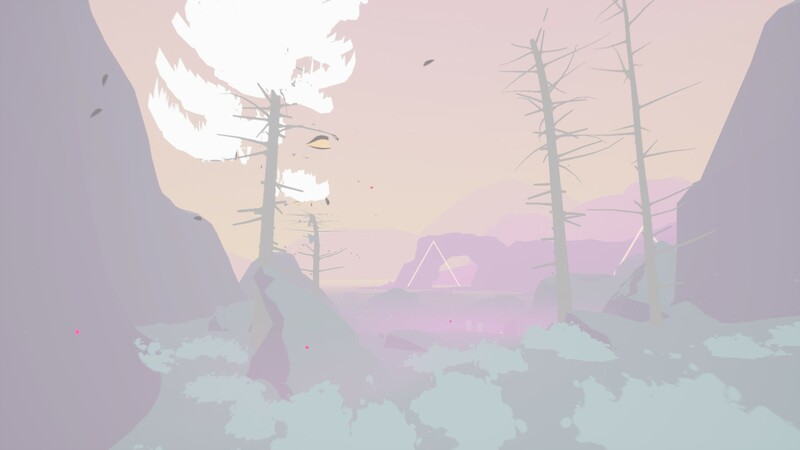 The atmospheric ambiance of Shape of the World subliminally plays into the theme of the mystery of the game world and encourages you further to explore the changing landscape. While at times it can seem bland and a constant series of chimes and echoes it doesn’t fail to do its job which is to keep you submerged in the world. Shape of the World isn’t perfect, however; I’ve encountered generation that loads in too slowly only to leave a tree submerged in a rock. Other times trees have trapped me in a specific area although this was my fault for spawning in too many trees. These minor issues barely affect the game but there is one serious criticism I have for the game and that’s the fact it’s not really a game but instead an art project. I understand this is a form of art but at the same time lore would have been appreciated but again this is a personal criticism. 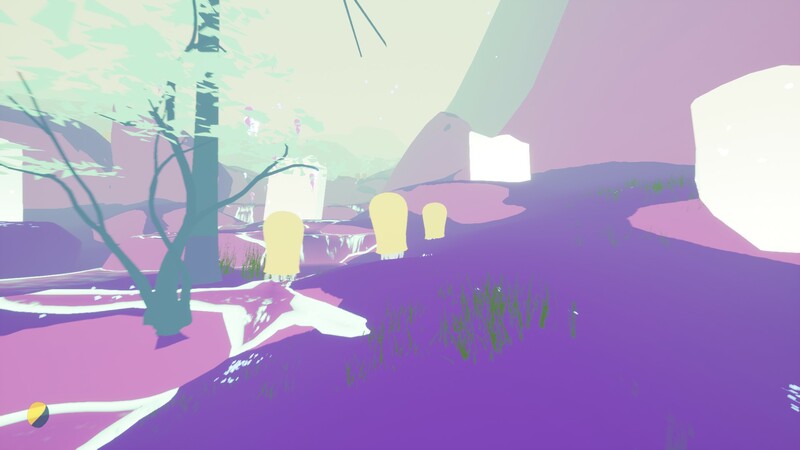 Overall Shape of the World manages to take players into a surreal world where everything revolves around them, almost like a painting. It’s wonderfully unique and brilliantly crafted to be more than just a walk in the woods. definitely worth a look.